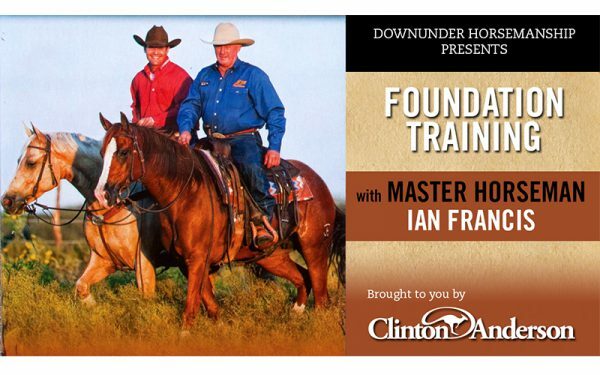 In this series, legendary Australian horseman and AQHA Hall of Fame inductee Ian Francis teams up with Clinton to give you the skills needed for a horse’s first 120 days of performance training. Exercises covered include lateral flexion, vertical flexion, circles, reverse arcs, moving the shoulders and hindquarters, transitions, backing, rollbacks, and more! Both green horses and advanced horses are used as examples to give you the exact roadmap needed to get extraordinary performances out of your horses. This series is an outstanding training guide for horse owners of all levels. All sales are final. No returns will be accepted on digital downloads. No exceptions. Become a premium member of the No Worries Club and receive unlimited access to all of the training kits and video series for $39.99/month or $399.99/year. Learn more in this video.